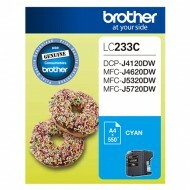 Our most business minded Multi-Function Centre with mobile device and cloud connectivity. 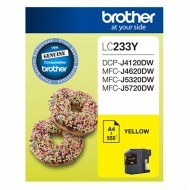 The MFC-J4620DW is packed full of features and is one of the most compact All-In-One inkjet printers capable of printing up to A3 size by using its rear manual feed. 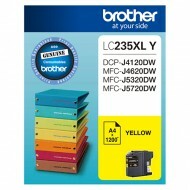 yield ink cartridges that can print up to 1,200 pages ensure low cost printing without sacrifi cing on quality. 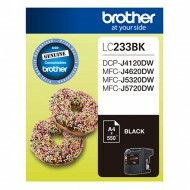 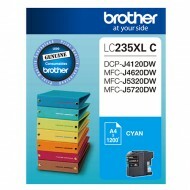 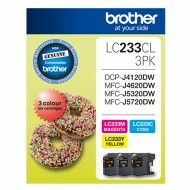 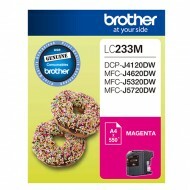 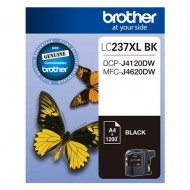 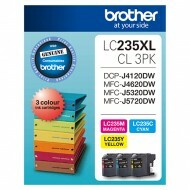 Colour Black Yield Up to 550 pages @ ISO 24711 Compatibility Brother DCP-J4120DW, MFC-J4620DW, MFC..
Colour Value Pack - Cyan, Magenta & Yellow Yield Up to 550 pages @ ISO 24711 per cartridge Com..
Colour Cyan Yield Up to 550 pages @ ISO 24711 Compatibility Brother DCP-J4120DW, MFC-J4620DW, MFC-..
Colour Yellow Yield Up to 550 pages @ ISO 24711 Compatibility Brother DCP-J4120DW, MFC-J4620DW, MF..
Colour Magenta Yield Up to 550 pages @ ISO 24711 Compatibility Brother DCP-J4120DW, MFC-J4620DW, M..
Colour Black Yield Up to 1,200 pages @ ISO 24711 Compatibility Brother DCP-J4120DW, MFC-J4620DW ..
Colour Cyan Yield Up to 1,200 pages @ ISO 24711 Compatibility Brother DCP-J4120DW, MFC-J4620DW, MF..
Colour Value Pack - Cyan, Magenta & Yellow Yield Up to 1,200 pages @ ISO 24711 per cartridge C..
Colour Magenta Yield Up to 1,200 pages @ ISO 24711 Compatibility Brother DCP-J4120DW, MFC-J4620DW,..
Colour Yellow Yield Up to 1,200 pages @ ISO 24711 Compatibility Brother DCP-J4120DW, MFC-J4620DW, ..